Life safety systems estimator designed by life safety professionals. Software created to simplify estimates, quotes, and proposals for all types of Life Safety Providers, including Fire Extinguisher Service, Fire Alarm Service, Sprinkler Service, and Life Safety Products. FireWatch Estimating Software brings consistency and accuracy to the Life Safety Service industry’s quoting process. 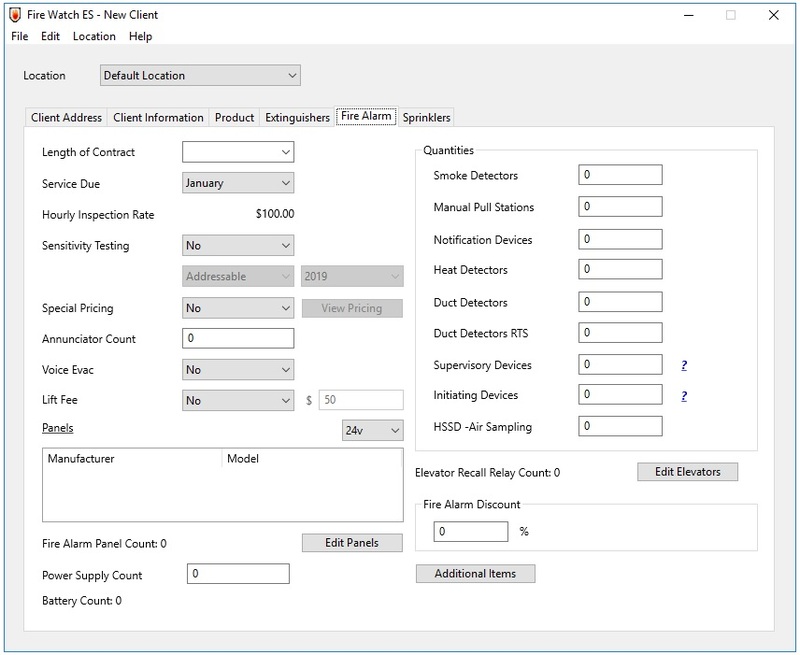 Automatically populate device counts for Fire Extinguisher Service Proposals, Fire Alarm Service Proposals, and Sprinkler Service Proposals. Ability to custom tailor your quotes, estimates, and proposals with your company name, logo, colors, and legal text. Input your company’s Life Safety Product Lines into Fire Watch ES to create drop down selections for quick Life Safety Estimates, Deficiency Service Estimates and Life Safety Annual Service Estimates. Easily save, access, and share all Building Reports, DWG’s, panel type and other hardware information. Master Mode allows access to change pricing on all levels for products and services. The pricing that is selected in the Master Mode can be transferred to the Client Mode Licenses. This allows anyone using the Master Mode License to be in control of all pricing on the Client Mode Licenses. Client Mode: This license allows salespeople to use the Fire Watch ES estimating software within the parameters set forth by the end user of the Master Mode License. The Client Mode will not be able to deviate from the pricing and preferences set forth by the end user of the Master Mode License.